11b is the winter hole and is a dogleg par 4. 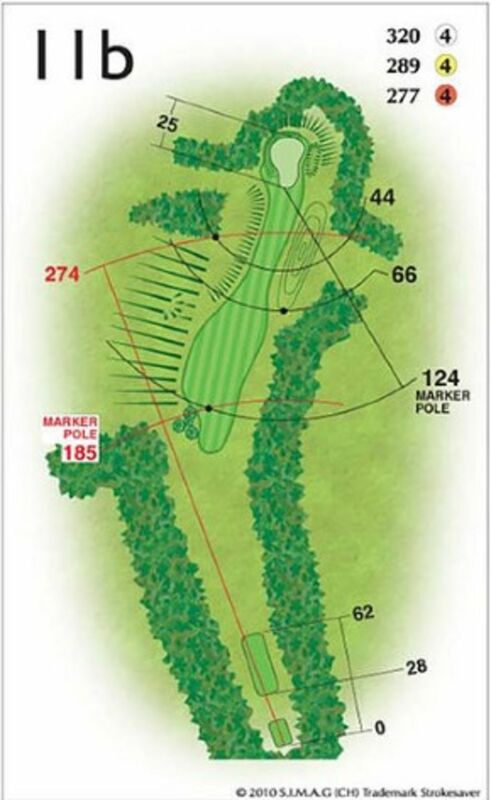 The ambitious player can attempt a long shaped drive to get near the green, but the normal play is a wood or long iron to the centre of the fairway and a short iron or wedge into the green. Make sure you aren’t too long with your tee shot or you may find yourself with an awkward lie on a steep and rough slope.